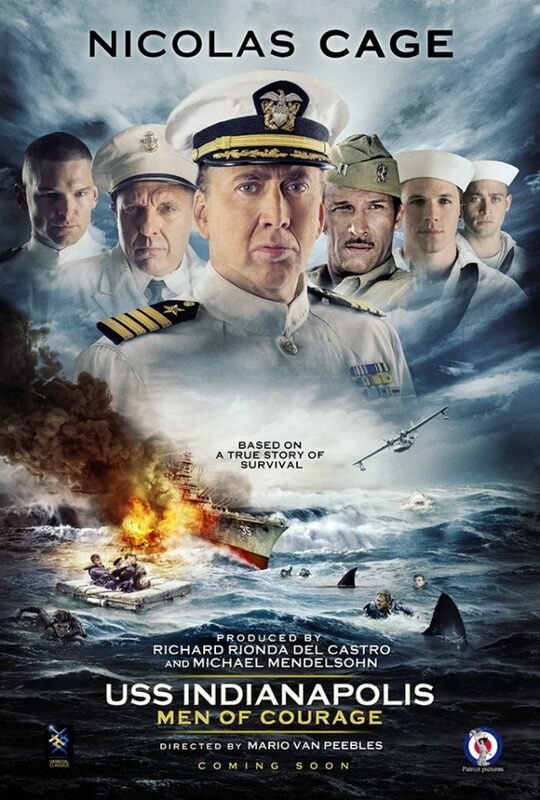 USS Indianapolis: Men of Courage DVD and Blu-ray release date was set for January 24, 2017 and available on Digital HD from Amazon Video and iTunes on October 14, 2016. The USS Indianapolis had the grim mission of delivering the atomic weapons that would be dropped on Hiroshima and Nagasaki. After dropping these bombs off, the men on this ship find themselves stranded in the Philippine Sea. Their mission was a secret, so there is no one on hand to rescue them. As food and water supplies run low, a more pressing problem emerges. Surrounding their ship are hundreds of sharks, and they begin to attack with relentless ferocity. By the time rescuers finally come, will there be anyone left to rescue from the clutches of these vicious sea creatures?